As an interior decorator, I naturally have the opportunity to see the inside of many homes each year. As I meet with different clients and talk with them about their goals and visions for their interiors, one thing never ceases to astound me–the lack of importance that people place on window treatments. My clients know how strongly I feel about this issue. A window without fabric makes the entire room feel incomplete and cold. Adding fabric to your windows will add softness and luxury to your room, and there is absolutely nothing like beautiful, well-made window treatments to give your room a high-end look. 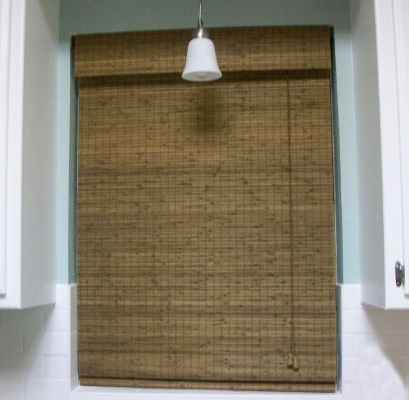 And while I’m on the subject, I also need to state, for the record, that that mini blinds, wood blinds, and even plantation shutters (no matter how expensive they are) are generally NOT a complete window treatment on their own. These items are purely utilitarian, and their purpose is only to block out light and reduce harsh glare. They usually do absolutely nothing on their own to enhance the look of a room or to add that feeling of softness and luxury. Now having said all of that, I do need to backtrack a bit. I do believe that there are some cases where fabric on a window is not necessary. 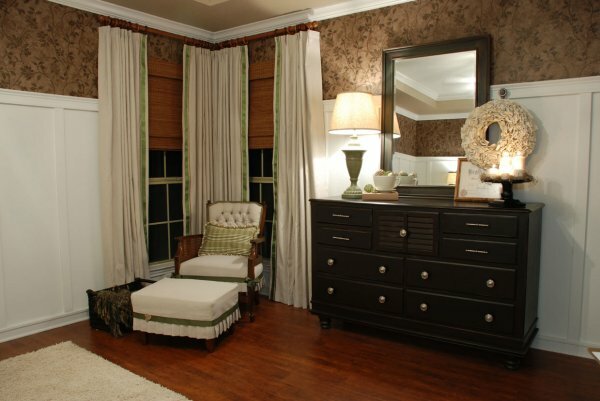 For example, in some very contemporary or modern settings, fabric window treatments would not be appropriate. 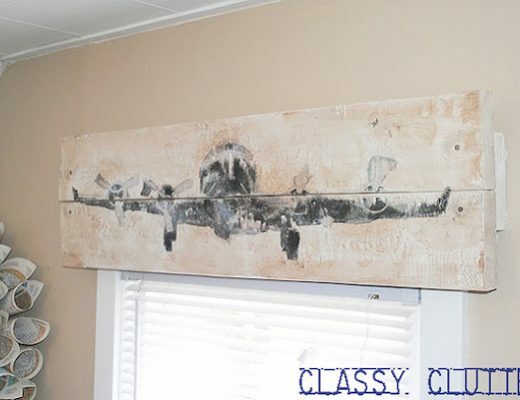 However, living in Waco and decorating for people in this area (a fairly conservative area where the predominant requested styles do NOT include modern or contemporary), I can honestly say that I have never decorated a room where I did not include–or at least strongly suggest–the use of fabric window treatments. Fabric Options For My Bedroom…Again!! You and I share the same favorite designer, that talented Candace Olsen. We also both have in common our love of interior design and I work on the 3rd floor of the building where your shop is! I used to write an interior design column, and I enjoyed reading your website today. It was the first time I have been to it. Maybe I’ll see you in the building sometime. I’d love to sit down and have a chat with you maybe at that place on the 2nd floor–having always wanting to be a designer and even majoring in interior design in college, I have never gotten into it professionally, so I thought it would be wonderful to get your input and tips on how to get started. I hope to meet you! here, here! I totally agree with everything you say. Another pet peeve is beige builder grade carpet. No one ever wants to put down a good patterned carpet. Nothing does more for a room than a wonderful two toned carpet. I totally agree with your ideas. Practically during these days where the building of modern houses combined with traditional and classical one is rampant, it is really great to have a good looking dressed windows.